This blend of lace, handcrafted polymer clay roses, leaves and crystals is perfect for adding an elegant and feminine touch to any outfit. These beautiful earrings are very lightweight and full of personality! 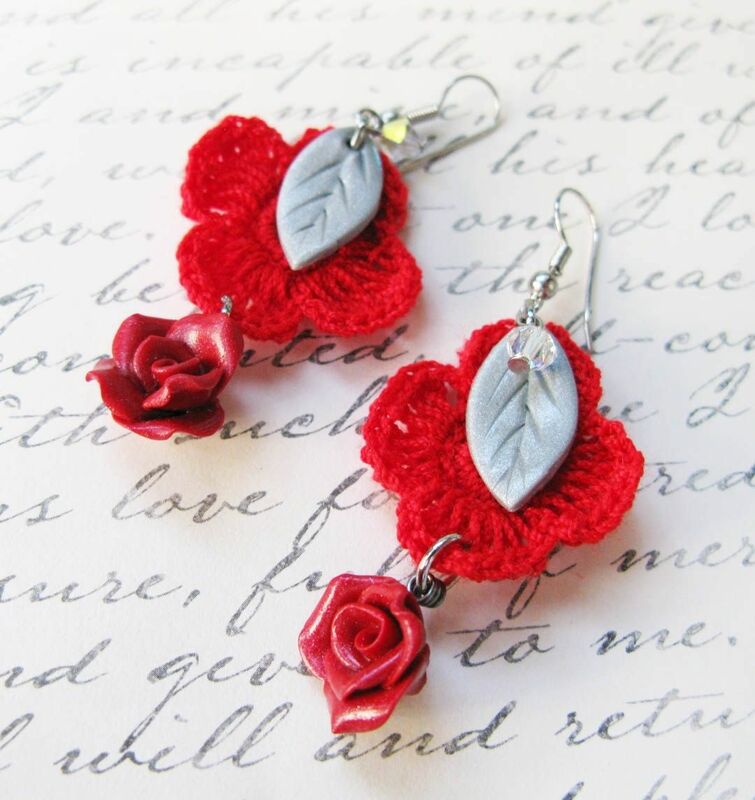 We can also create custom earrings made to order, if you would like something made, please contact us.